Looking for a set of good iron shafts for your iron club head? Then maybe what we have here today will interest you! We have picked 3 sets to feature on our reviews of best golf shafts for irons. Each of them is quite unique, so maybe you’ll find something suitable for your play style. If you are looking for an iron shaft set with regular flex, then Rifle Project X 5.0 3-PW set may be the right pick for you. This iron shaft set consists of 8 iron shafts from 3 to PW. The shafts of this set are 37.5 – 41 inches long, which should make this set more appropriate for taller individuals. We already mentioned that the flex of the iron shafts in this set is regular 5.0. A regular flex would be suitable for those who tend to have low swing speed, low ball flight trajectory, and low ball spin rate. So in case you have used stiffer iron shafts and got lower ball flight characteristics than desired, then Rifle Project X 5.0 iron shaft set could be suitable for you. Each of the shafts in this set is made from steel. The steel attaches a solid weight feel to the shafts and also makes them durable. An important thing to consider is that these shafts have a parallel .370-inch tip. Don’t forget to make sure that your iron head is compatible with the .370-inch tip of these iron shafts. A thing that makes this shaft set quite an attractive option is its inexpensiveness. Overall, this shaft set could be suitable for either those on a tight budget or those who tend to have lower ball flight and spin rate, especially beginners. Regular stiffness may help with low ball flight and spin. Probably not suitable for skilled golfers. 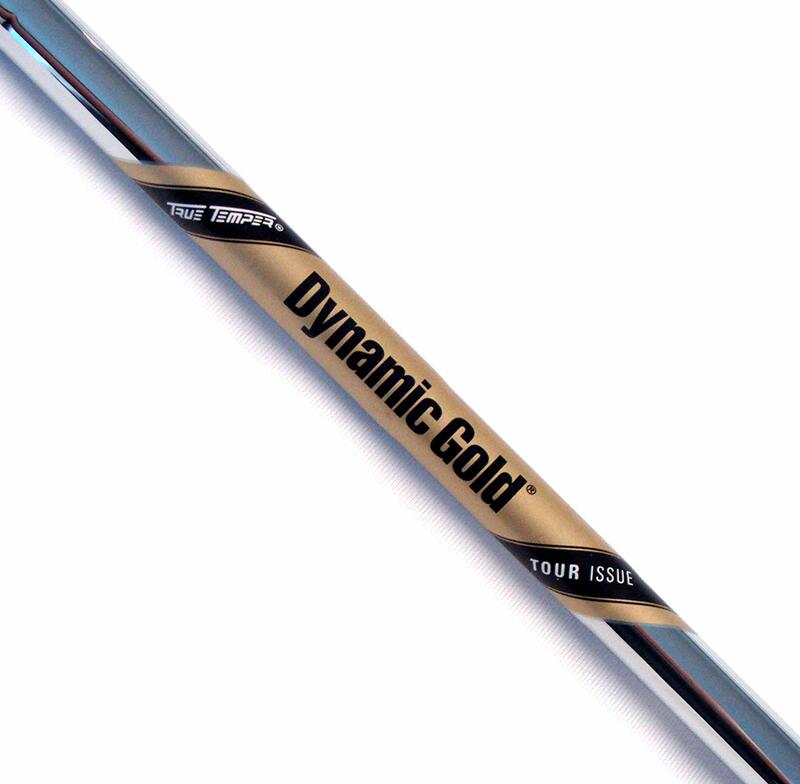 True Temper Tour Issue Dynamic Gold S400 shaft set is pretty similar to the previous shaft set we reviewed when it comes to the specs. However, there is a couple of differences making this set a whole another product. First of all, the iron shafts in this set have an S400 stiff flex. A stiff flex would lower the ball spin speed and the trajectory. If you have a fast swing and find that your ball flight characteristics are excessive, then a stiff shaft like the S400 might be suitable for you. The second difference is the price. This set is much more expensive than the Rifle Project X 5.0 set. The shafts in this set are also made from steel, so they should have the same feel as the Project X 5.0 set but more durability. For the price, you could expect significantly better longevity and material quality. The iron shafts in the Dynamic Gold S400 set all have a tapered 0.355-inch tip, so you’ll need an appropriate iron head to get these shafts working. 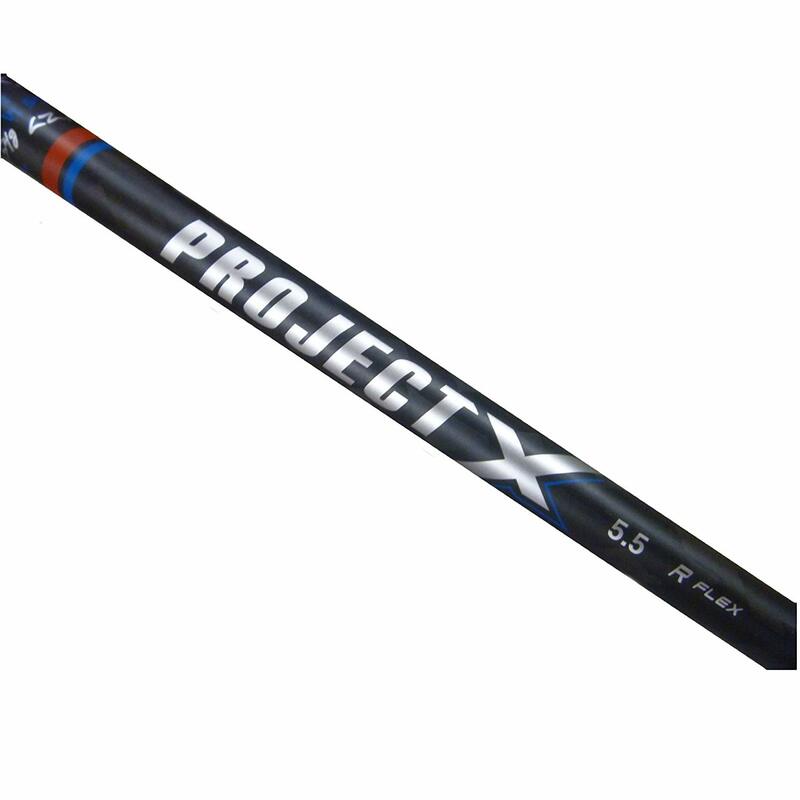 In terms of length, the shafts in this set are pretty similar in length to the Project X 5.0 shafts – the lengths range from 37 to 41 inches. So if you are a taller golfer, this iron shaft set may be the right pick for you. A thing that you need to keep in mind, however, is the weight of these shafts. Being stiffer than the Project X 5.0 shafts, the Gold S400 set is about 15 – 20 grams heavier. You would thereby need to have the physical capability to handle these shafts. Could lower excessive ball height and spin. And the last shaft set on our list is Project X LZ 3-PW iron shaft set. The most remarkable thing about this shaft set is that you have several stiffness options to choose from. You could choose a set with a standard 5.0 flex or maybe go all the way up to the stiffer 6.5 flex. The Project X LZ shaft set thereby provides you with more options to tweak the ball trajectory and spin speed you get from your shots. Another thing noteworthy in this iron shaft set is that the shafts are about 1 inch shorter than the shafts of the other two sets. Overall, you get shafts from 36.5 to 40 inches long, which should make this set more suitable for shorter golfers. Besides, the shorter length makes this set lighter. At the same given stiffness, this set is 5 – 10 grams lighter than the other two sets we reviewed. 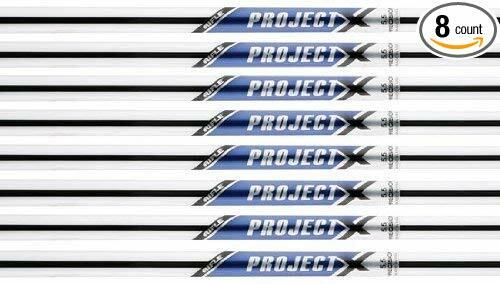 This means that the Project X LZ set could be an appropriate pick for those who struggle with heavier shafts. When it comes to the shaft tip, the Project X LZ shafts are identical to the True Temper shafts we examined previously: they have a 0.355-inch tapered tip. And what about the downsides? Well, the lightweight of this shaft should be pinpointed. The weight is a double-edged sword: it may be right for some people but completely wrong for others. That being said, these shafts may be too light for stronger golfers. May be too light for some golfers. Picking the right golf shaft isn’t an easy thing to do, especially for those golfers who aren’t that experienced. If you have tried a lot of iron shafts, then you probably know what you need to go for. The shaft was too heavy? Go for a lighter one! Too low ball flight height and spin speed? Then you would need to go for a softer shaft. If you have tried a lot of shafts in your days, then picking the right one won’t be that difficult. But if you are pretty much a beginner, then be prepared to try out a lot of iron shafts before finding the right one. Ideally, you should practice with a couple of shafts before choosing what kind of stiffness or weight you need. If you know what you are looking for, you won’t make expensive mistakes.